Some great fall book suggestions for you! Cause as most of you all know, I am a huge book nerd. And love sharing my latest and greatest reading finds. Now as I type this, this book isn't even out yet. It comes out the 23rd. of this month. It is the thrilling conclusion to "The Caster Chronicles" that I raved about at the beginning of the summer and said you should defiantly read. If you haven't, you should, the movie comes out next year and you should be prepared for the awesomeness that is "The Caster Chronicles". I am so excited for this book to be released. I know I'll probably cry my eyes out, but it will be worth it. I am a HUGE fan of Pittacus Lore. He's just...great. So great, it has only taken me about 2 days to finish his past 2 books in the "Lorien Legacy's". 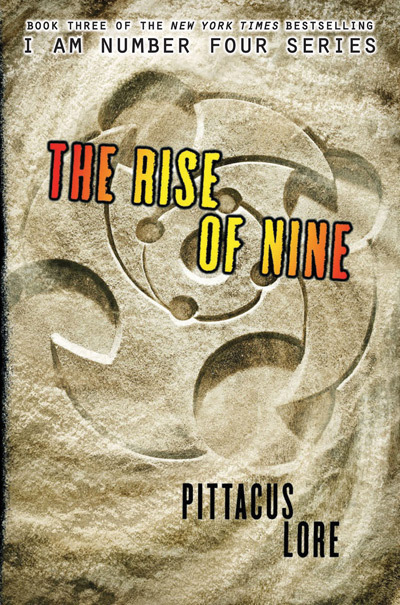 And of course, he did not disappoint in The Rise of Nine. "I am number 4" will always be my favorite but "The Rise of Nine" is a VERY close second. VERY close. The characters and the situations in this book kept me reading for hours every night. READ IT. FOR FANS OF THE HOST, UGLIES AND DELIRIUM. This book is a perfect futuristic quick read for you fall :) The whole idea of the story is just interesting in and of itself. A great read for sure! Have you found any great books reads this fall??? I'd love to hear them!! You can always see what I'm reading on my goodreads page here. Ah. I'm a major book nerd too, although it's mostly lit. Nice list here though.